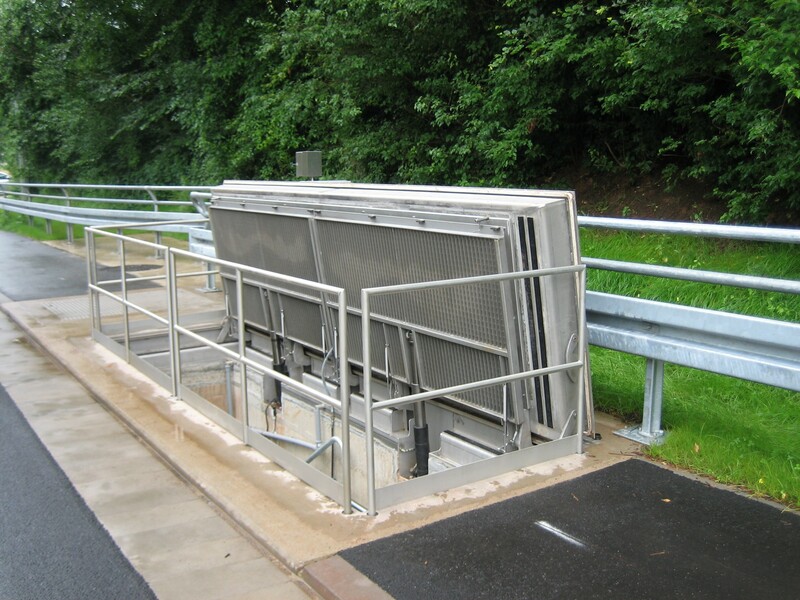 This cover type is equipped with an electric-hydraulic drive by which even large and heavy covers can be lifted with ease and without external lifting gear. This principle allows for a broad range of design variations in respect of dimensions, material and surface structures. 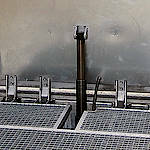 Our hydraulic covers are fitted with manual cover hold-open latches and hose rupture safety devices, preventing cover from accidental closing in case of power cut or hose rupture/oil pressure loss. 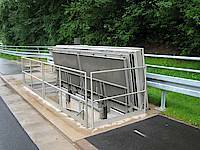 This cover type is particularly well suited for shafts where frequent access is required. 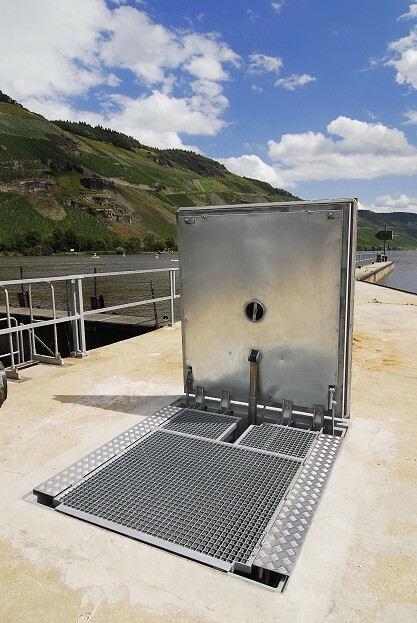 The design has been tested and confirmed by "TÜV Süd" (a material and machinery test institute) to meet conditions set forth under the "EU-Machinery Act" - and thus is certified for use as emergency escape hatch. A broad range of design variations can be materialized with this cover type, e.g. heating (in gap between cover and frame), warning lights and acoustic alarm signals. 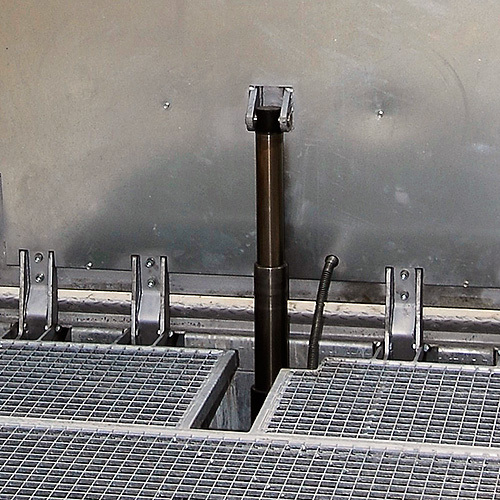 Our hydraulic covers are available for all test load classes, from A 15 to F 900.